Welcome to Pearl Blossoms! 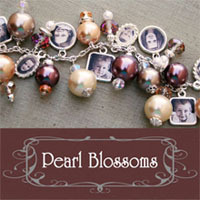 Pearl Blossoms are designed to help women feel beautiful and self expressed. This is the perfect place to find accessories which create a unique look. We specialize in creating custom jewelry (pearls) and clips (blossoms). If you have something specific in mind, contact us and together we can create your expressions.